This spring semester our son moved into a house at college, and took his bed with him. That left his room empty without a bed, and it stayed that way from January until now. He was coming home for spring break and we hadn’t done anything in his room. He would be home in 2 weeks with no place to sleep! We are about to change our daughters room and have been looking for inspiration rooms since last October. She knew she wanted to go more neutral in her colors, but wasn’t 100% sure what she wanted. 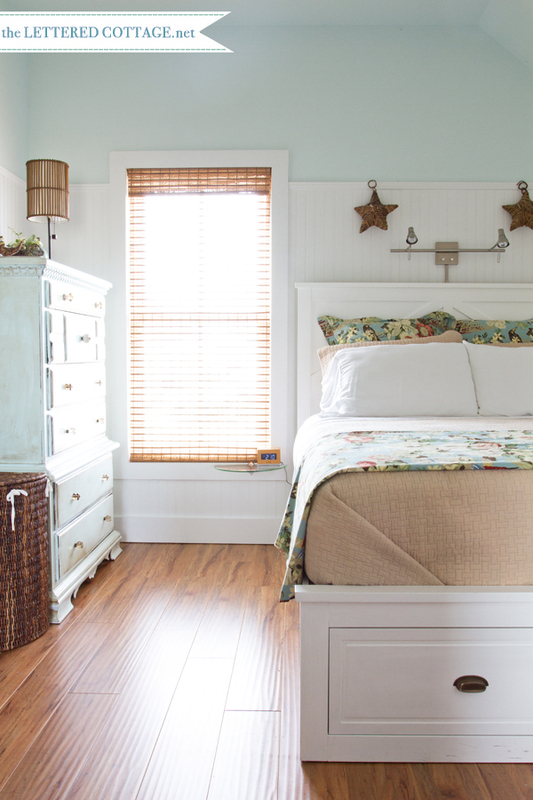 Then during Christmas break we discovered this absolutely gorgeous southern cottage in a post on The Lettered Cottage. This cottage is swoon worthy! Here is a picture Layla and Kevin Palmer had from this post. I just love what this couple does! You have to go see all the inspiration they can bring to your life! Our daughter wanted a bed like what is in this cottage after she read the post. So she searched the internet and found the famous Pottery Barn Stratton bed….for $1599! We may have had a mild stroke over this price. So as true DIY’ers do, we hit the internet looking for a knock-off version. 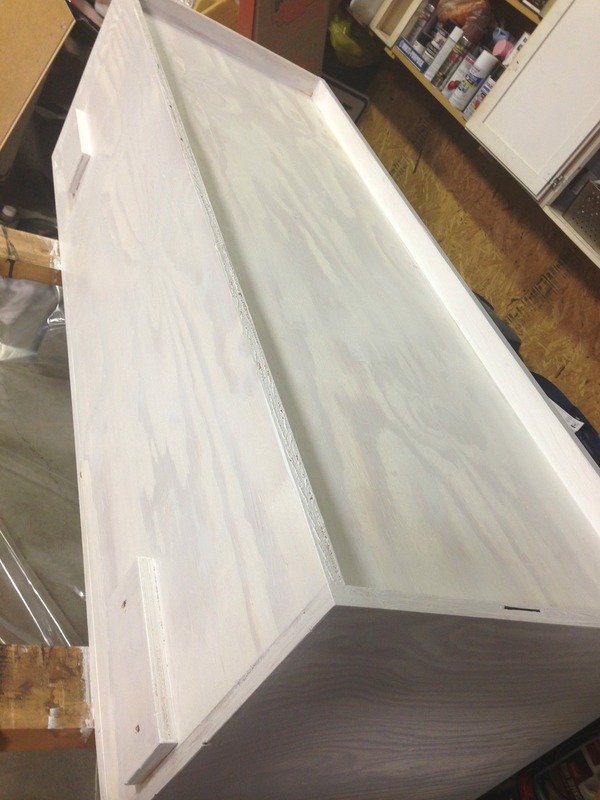 Enter the amazing furniture plans for this bed from Ana White. (If you haven’t been to Ana’s site, go check it out!). Since both kids have queen beds, the plan we came up with was to build this bed for our daughter, and move her bed frame into his room. The difficult part was that it was March 1st and all this had to be done by March 15th! Lots of work for 2 full-time working parents, and a high school student daughter! We printed off these plans and made a few adjustments so that the bed would be 2 inches taller. (We like taller beds in our house.) 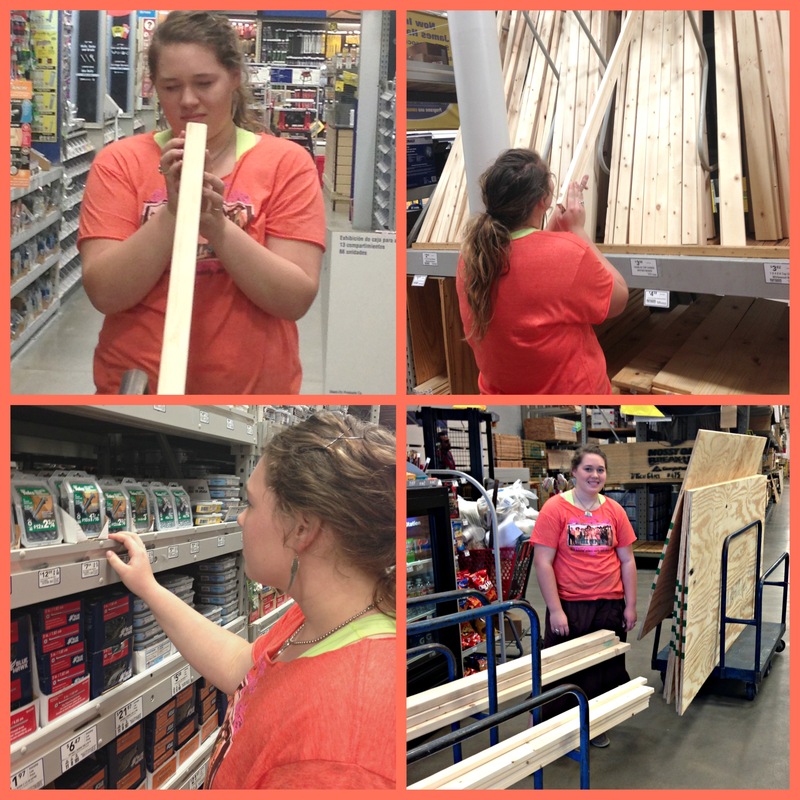 Then we hit up Lowe’s after school the next day to buy all the supplies! While we were shopping, another plan came to our daughter. Our kids have always done our county fair and entered some type of metal furniture/art for a farm shop project. Our daughter said, “hey, this can be my farm shop project for fair next year!” Score! Knock out 2 things with one project! That first weekend it was project “get the bed built”! 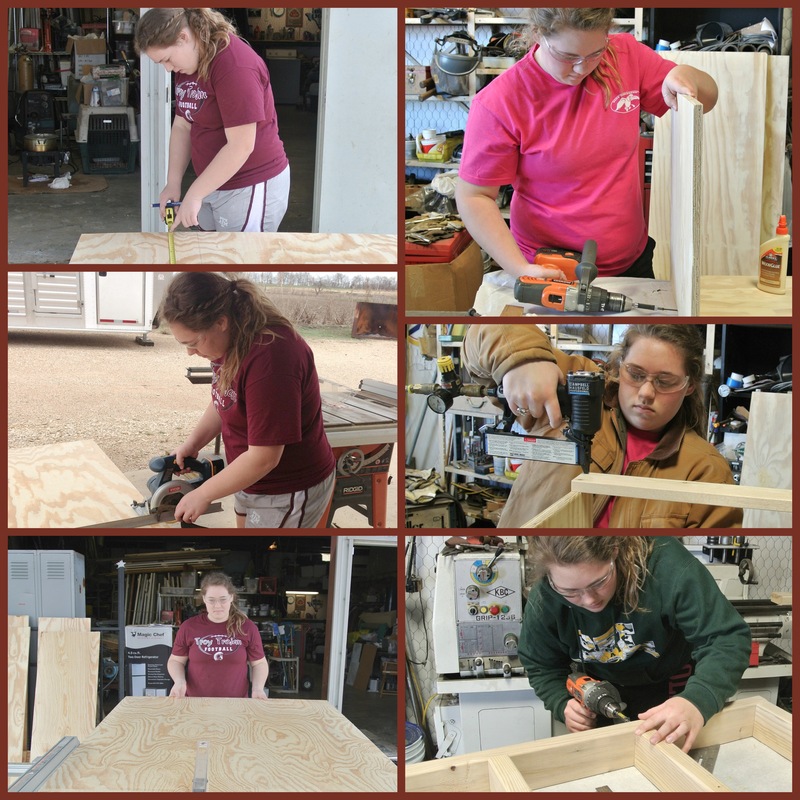 Here is our daughter working her tail off measuring, cutting, building, and just being awesome! We purchased plywood that was sanded, but there were still a few knot holes in there. Whenever we came across one, we helped our daughter fill them with wood filler and sand it smooth. Per the plans, she had to build 3 cubes that make up the bed. Here is what the cube looks like. Then we helped her carry each cube inside the shed and lay it out to see what it would look like put together. Please excuse the HUGE mess in there, we are in the process of reorganizing, but it seems that projects like this take us away from that task. 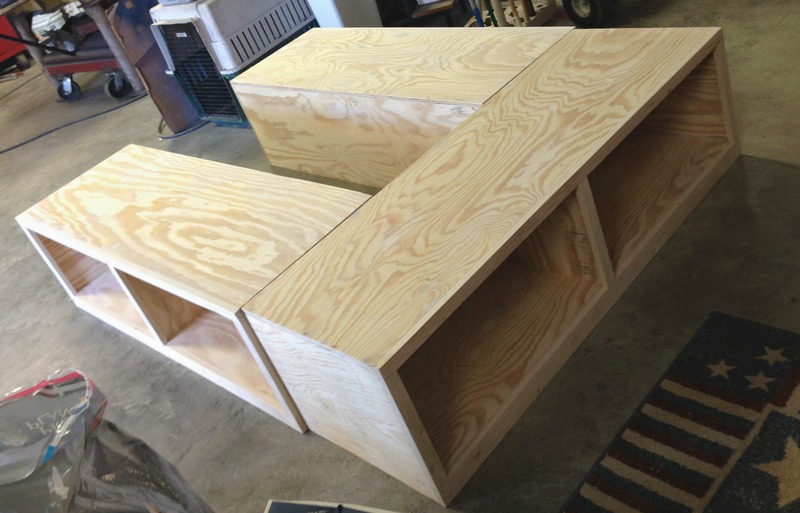 Here are the 3 sections all put together and ready for painting. The only part not on this is the center ladder looking section that the mattress sets on. Now the next weekend it was project “paint the bed”. She loves the look of chalk paint, so she decided on a white (Annie Sloan Pure White) bed with distressed areas showing some gray (Annie Sloan Paris Gray) and beige (Annie Sloan Old Ochre). 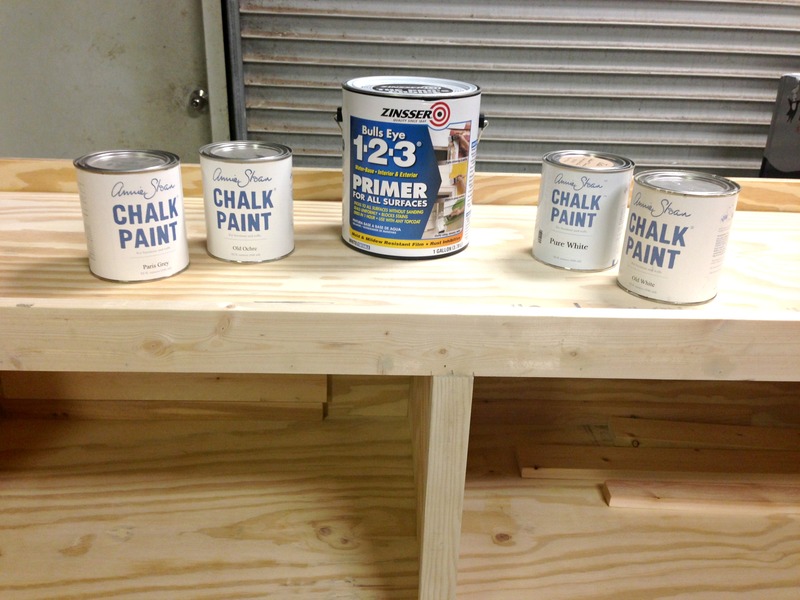 So off we went to Jute to purchase more chalk paint and clear wax, and get some suggestions. This was the first BIG thing we ever painted with chalk paint, so for some reason we were both nervous. Thank you Tiffany for all the help! We love how it turned out! First she primed each cube. 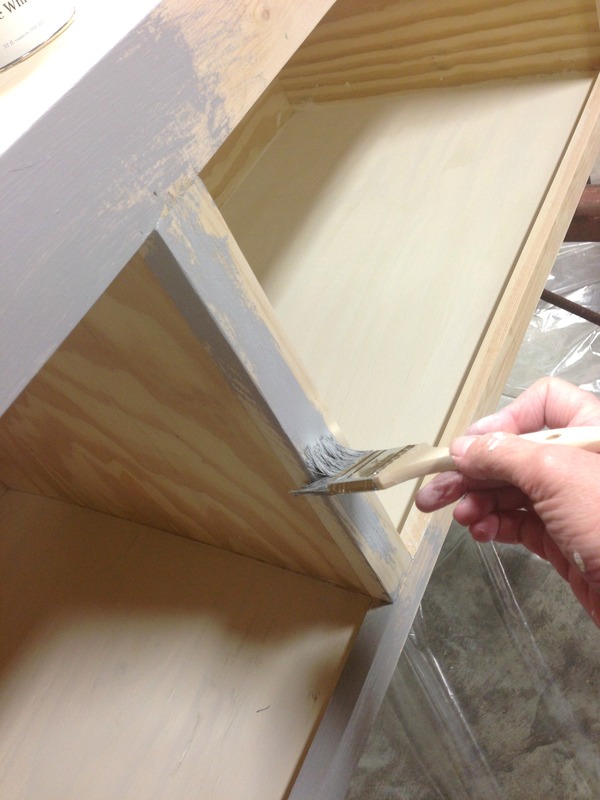 Due to the expense of chalk paint, we had her paint the parts that would not show with primer only. Also, instead of layering the Paris Gray and Old Ochre over all the parts that would show, she only layered these colors where she would distress. This was mainly on the trim and bottom shelf of each cube. 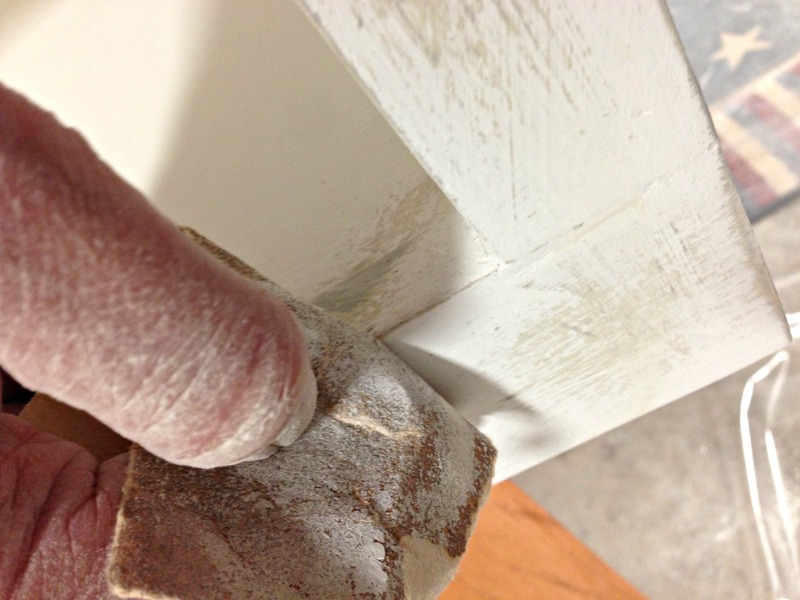 Once the 2-3 coats of Pure White was painted and dried, she distressed it. We prefer to distress then wax because we like the look of that better. 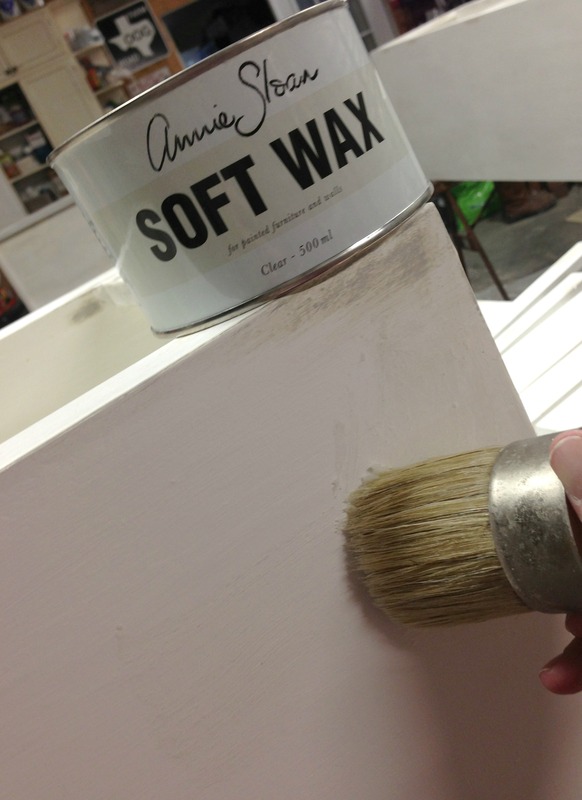 Even though Annie Sloan recommends to wax and then distress. Once she had the distressed look she wanted, she applied the clear wax. All the painting was finally finished Thursday night (March 14th)! Talk about finishing the last minute. Now it had to sit for 24 hours so the wax could cure. Once everyone got home Friday evening, we began putting the bed in her room. While we were putting the last pieces of trim on the 2 ends that show, her dad came up with an awesome idea to do on these. This little treatment will eventually be on her headboard. Great idea G! Here it is all put together in her room! 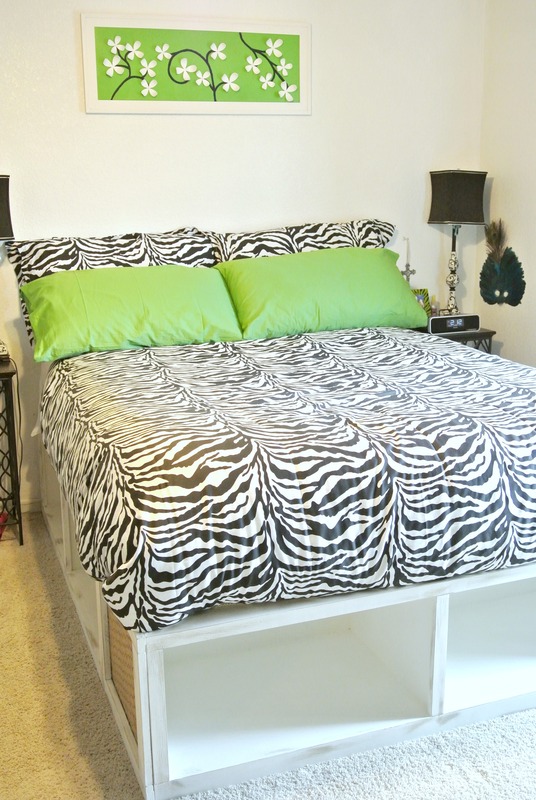 The bed is painted so that it will go with the newer neutral colors she has chosen, not the zebra print she has in there now. Project completed by March 15th! She did an amazing job, and we are so proud of her. Now to move on to the next steps of building crates to slide into each one of the cubbies to organize her teenage stuff! Then to the fun decorating part. Her dad had to help her during the project because she needed extra hands, or the wood would split. The phrase of the building weekend from her dad was “Uuggghh, I hate wood”. He’s a metal guy, so he would constantly remind us of why metal is better to work with. In fact he said he will show us how much easier it is to build this same bed out of metal for our son’s room. 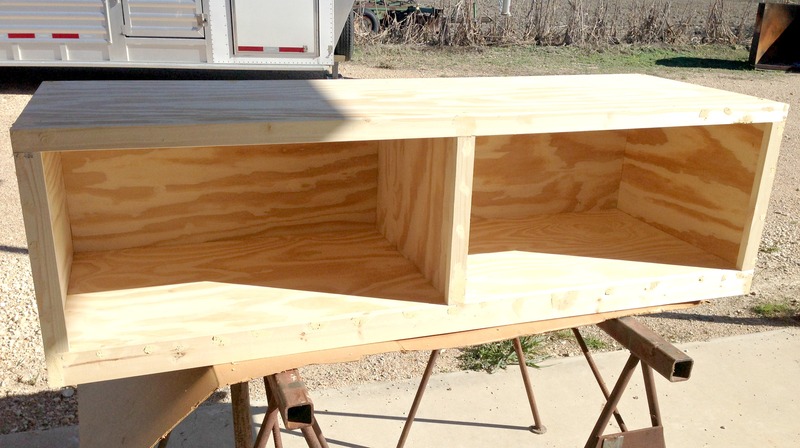 He said it will even have drawers, not crates. Well darling, challenge accepted! I’ll let you know how it turns out whenever it finally gets done. Linking Up to these Great Sites, so go check them out! I'm a working mom who has a love for repurposing on the cheap. I work full time, take care of an elderly aunt and uncle, and still find time to fuel my creative juices. My hubby, G, is my greatest partner in marriage and creativity. He loves to weld and create out of metal. Together we cover all kinds of projects. I'm an engineer, and he builds equipment for manufacturing. So together we make an awesome team! 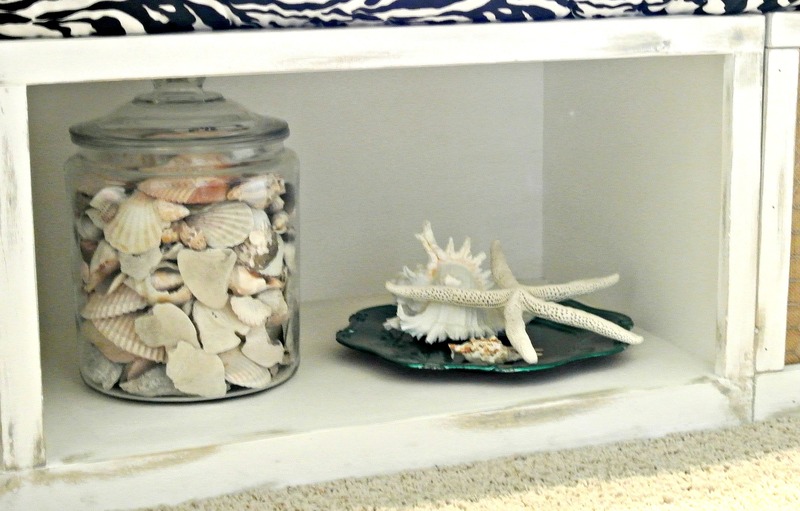 We love to go junkin' to jump start our creative side on things we can make for our home. It's now becoming a family affair with the kids. They are really getting into creating items from stuff we find at flea markets. Both kids have picked up on the welding aspect, so now it's my turn to learn. I love to see their creativity blossom! Come look around this site, and join us on our creative adventure! We hope we encourage you to take that step and just get started. It's all about setting your creative spirit free! So cool! I bet she loves it! I found you today at the Show me What Ya Got Linky. I hope you can stop by my blog and leave a comment, too! Thank you. She is enjoying it and can’t wait to finish her room.